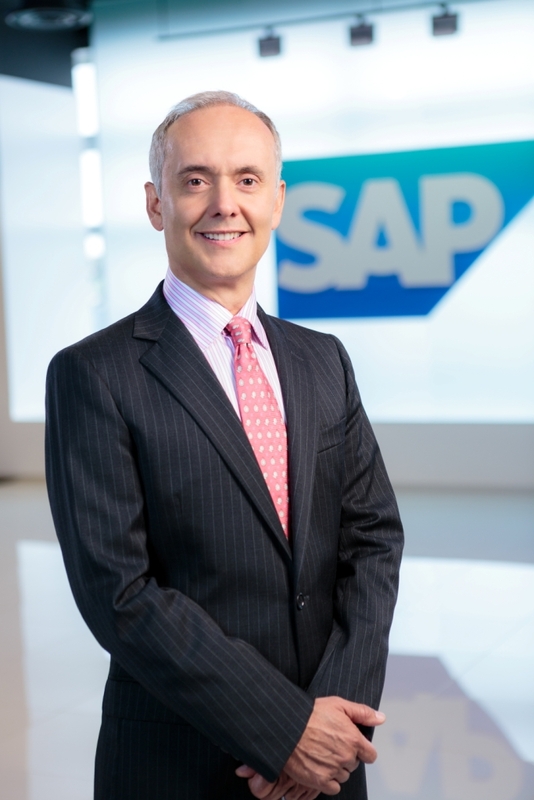 Through an exclusive conversation with Jairo Fernandez, senior vice president of HR in Asia Pacific and Japan at SAP, HR in Asia unravels different facets of human resources (HR). We discuss the challenges of creating an innovation-friendly workplace and learning culture; setting new standards, processes, and systems; integrating IT and HR to simplify people management; grooming talent into future leaders; promoting women leadership in Asia, and a lot more. How does your team combat attrition effectively as the global war for talent reaches its peak? First of all, we look at our corporate culture. We know what makes our employees tick, and we know what will maintain their interest in being a part of our team: a strong company culture and a collaborative work environment. To retain and recruit new talent, we create and maintain a working environment where employees can have fun while enjoying the nature of their work and seeing that their contributions are meaningful. Furthermore, our organisation depends on innovation for growth and high performance. This depends on employee initiative, risk taking, and trust – all qualities that are nurtured by the organisation’s culture. Tell us more about your workplace culture. We have a diverse and inclusive culture that is critical to making SAP both a great place to work and a successful company. At SAP, we believe in constant workforce cultivation. By subscribing to the learning culture philosophy, everyone is a teacher and everyone is a learner. We have a well-articulated culture that is built around our five key behaviours that form the foundation of our business conduct and success. Which Asia-Pacific market offers women the most opportunities? Do you think women are well-represented in leadership roles? Across Asia Pacific and Japan, we aim to nurture a diverse and inclusive environment. We believe that that diversity is essential for enabling a culture of innovation, productivity, and creativity. In turn, SAP has committed itself to increasing its global number of women in management to 25% in 2017 (up from 18% in 2010). To ensure that SAP continues to further this aspect of diversity as part of our innovation strategy, SAP promotes women in leadership through professional development and mentoring programs, active retention of women in leadership roles, executive sponsorship, and ensuring that the shortlist for leadership positions is diverse. One example of a professional development initiative is LEAP – the Leadership Excellence Acceleration Program. LEAP is a year-long targeted development journey focused on women who have the potential and desire to succeed in people management positions or reach new heights of excellence in people leadership. So far, we have around 90 women who are a part of this group. In Singapore, our efforts have been met with great success: 42% of our employees and 26% of our leaders are women. What recent initiatives are encouraging better employee engagement? In Singapore, we have just started the FitSAP initiative. This initiative encourages SAP employees to wear a wearable fitness device that can be synced to the FitSAP application – an app supported by wearable devices from FitBit, Jawbone, Withings, and MiFit. Data from individual devices is presented on a dashboard that tracks cumulative steps of all employees, average steps per day, distance covered, and participation rate. In addition, individual employees can also see how many steps they have taken this quarter and their rankings. Employees who clock an average of 8,000 steps per day for a quarter will earn 100 points in their flexible spending account. With this initiative, we have managed to encourage healthy living and, of course, nurture friendly competition among employees who are trying to rank highest for steps taken per quarter! How is your organization influencing diversity in the workplace? Diversity is about leveraging the unique experiences and perspectives of all employees to better understand and serve our customers, drive innovation, and create a work environment where all employees are fully and passionately engaged to achieve our corporate objectives. We actively promote an environment that values differences in culture, race, ethnicity, age, gender, sexual orientation, gender identity or expression, and physical ability. One example of how SAP influences diversity at the workplace is through our Autism at Work initiative. This initiative employs people with autism because we believe their strengths allow them to perform better at certain jobs. The ultimate goal of the program is to have 1% of the company’s total workforce represent people on the autism spectrum by 2020. How is your company bridging the gender gap in pay parity and structure in APJ? SAP is an equal opportunity employer in every respect. We rigorously track gender pay parity every year. Managers receive a report on pay-parity analysis before and after the salary review cycle, empowering them to make more-informed decisions. At SAP, pay and rewards are based solely on merit. Our philosophy is to reward and recognize the right talent at the right time and secure a lasting connection between reward and performance. We put in an enormous amount of effort to make the reward mechanism transparent and ensure employees are aware of the criteria. Furthermore, variable pay is closely linked to individual performance and company’s performance which helps drive a high-performance culture and behavior among employees. Take us through the HR interview selection and candidate screening process. Our hiring policy is simple: We want the best talent who demonstrates long-term potential – not just a candidate who has the right set of skills and competencies, but also someone who brings the right attitude, values, and aspirations. We have stringent interview selection and candidate screening processes for different levels within the organization. Beyond the role competencies, skills, technical evaluation, and people-manager interviews, we place emphasis on recruiting talents whose values and aspirations align with those of SAP. We believe cultural fit is a crucial ingredient for success in an employee’s career over the long run. Candidates who demonstrate the right potential are carefully handpicked by hiring managers and assessed for cultural fit. How do you see emerging HR tech trends boosting the recruiting sphere and facilitating better payroll management? We are helping businesses simplify the way they work to achieve business outcomes they never thought possible. With the use of technology for recruiting and payroll management, businesses have an opportunity to simplify their processes and increase their productivity. As for payroll, businesses can use solutions to streamline and centralize their payroll processes. Companies can realize the benefits and convenience of cloud delivery and the control of implementing and managing payroll in-house. What people management practices in your region are motivating and empowering employees to be future leaders? To ensure a steady pipeline of senior leadership, we have established a robust talent and succession management process, where we identify potential successors to key positions early in their career and provide support, coaching, and opportunities to take on additional responsibility beyond their typical scope of work.We are also keen on developing its future leaders by providing a range of structured development programs to allow potential leaders to experience leadership positions. For example, our Leadership Framework analyses the lifecycle of a leader at SAP. Developed in Asia Pacific Japan in 2014, the program increases the quality and standards of leadership practices. It serves as a useful resource for leaders across all levels to seek information on the topics around onboarding, leadership development, goal setting, talent acquisition, succession, promotion, and performance management. With HR moving to the cloud, how do you envision the future in 2020 and beyond? The exploding scale of computing, mobile, cloud, business networks, and connected technologies is rapidly changing the way we live and work. In just a few years, the Internet of Things is expected to have tens of billions of devices connected to one another as well as to cloud-based services. This change will provide opportunity and cause complexity. HR teams that successfully navigate the complexity caused by the deluge of data will be the ones rewarded with a stronger bench of talent and a better-managed workforce. The key is to run simpler systems as they navigate through the changing dynamics of today’s workforce and embrace the future of work. Tell us more about your employee leave policies and benefits offered in case of maternity/paternal leave? Our employees go through several life milestones in their careers. So we want to make sure that the workplace is as family-oriented as possible. New mothers are entitled to 16 weeks of paid maternity leave and fathers are eligible for a week’s paid paternity leave. Beyond these fundamental pro-family policies, we also have a range of family-oriented initiatives. We host a Kids@Work day, where children are invited to the workplace during their school holidays to enjoy movie screenings, the arts, and sports competitions. This year, we also organised the SAP Beach Fiesta for our Singapore team that enabled the family and friends of SAP employees to join us for a fun-filled day at Sentosa Beach. According to a recent news report, Japan’s talent mismatch ranks the most severe in Asia Pacific. What challenges are you encountering when hiring and retaining talent in Japan? Japan is a tough talent market to crack, but hiring and talent retention is a key focus area across the world. Our mission is to identify and acquire the right talent who will help drive our company towards greater heights. To combat issues such as talent mismatch, we strongly believe in identifying the untapped potential of future managers and proactively groom them for future responsibilities. By grooming leaders in-house, we not only accelerate the development of our amazing talent and empower them to realize their full potentials, but we also ensure that these leaders are aligned with the company’s strategy. We have also invested in our graduate hiring across many areas of our business in Japan to grow talent from within the company. This is proving to be a successful strategy for creating the internal bench strength needed to continue growing our business in Japan. As one of the top 5 Great Places to Work in Singapore, what are your organization’s key strengths, challenges, and people management strategies that have helped your workforce upgrade their skills, making it to the top 5 spot? A career at SAP is based on an interest in life-long learning, and we strive to provide a culture that nurtures it. It is our employees who fuel our innovation and ensure a sustainable future for the company, its customers, and society. This is precisely why we invest in and actively encourage talent development through challenging work assignments, collaboration with peers, and attending formalized programs geared at upgrading employees’ skill sets. One example is the SAP Sales Academy program, which includes innovative classroom training at our world-class learning center in California; several months of on-the-job training and mentoring; and skills development in presentation delivery, teamwork, and knowledge of our offerings. What is the future of HR in Asia Pacific and Japan? Without a doubt, HR will move from being data-driven to being fact-driven. But at the core of it all, HR is essentially a people function. It is essential to balance business requirements with the need to engage your employees at the same time. Not only does HR need to be a trusted advisor and partner to the business function, but it should also serve as a promoter of talent across the company. This article originally appeared on HR in Asia and was republished with the author’s permission. Savita V. Jayaram has been working as a journalist and writer for many international publications of repute. You can connect with her at savita@hrinasia.com. Feel free to share your feedback.